When asked to tell our story we usually just say “a couple of guys making pots.” In the blink of an eye it’s been 28 years. 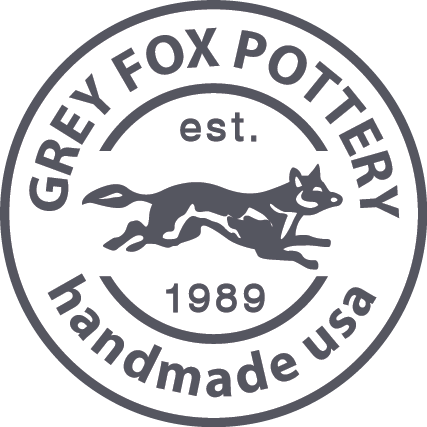 Truth is, along the way we’ve found plenty of other people who share the same interest and now, not only do we like making pots, we really like supporting our artists (aka: our employees), our community and the thousands of businesses and organizations that appreciate handmade custom mugs to represent their brand. We really are a craft business. 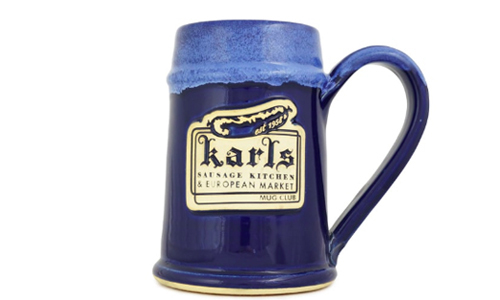 Located in a thriving arts district in Minneapolis, MN we are small enough to offer a unique, custom mugs to mom-and-pop coffee shops and local brewpubs, yet large enough to fill the high demand needs of popular renaissance festivals and bustling tourist attractions. Our mission is making the best, handmade custom mugs at the best price we can offer with no hidden costs, every day, the American way. But really, this is about you, not us. We love stories and there is one behind every custom stoneware mug we make. 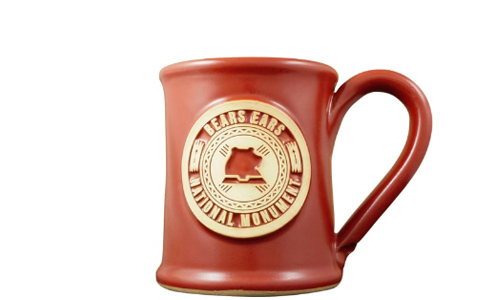 We help you with your custom medallion artwork to make sure your handcrafted mug leaves a beautiful impression in the hands of your customers and supporters. 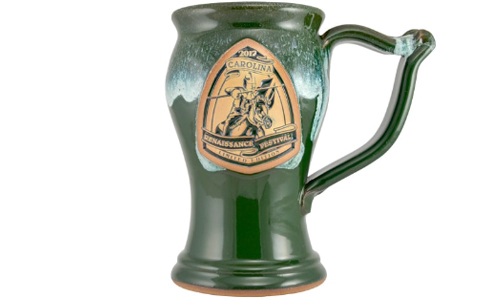 Go ahead and take a look around the site at the many different coffee mugs, beer steins and tankards and soup bowls we offer. Choose a style and color, upload your artwork, or ask us for help. Unlike large promotional products websites, we are able to offer you low minimum quantity options and a truly custom mug. That’s our story, and we’re sticking to it! Now, back to making pots.